Whether you own a home, business or both in Pierce County or south King County, chances are you’ll need maintenance roofing services. Don’t pick some fly-by-night roofing outfit. 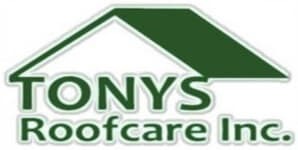 The team at Tony’s Roof Care is experienced, capable and knowledgeable about everything having to do with roofing. We’ve been in business since 1997 and we’ve earned a reputation for being professional and dependable, and only using the highest-quality roofing supplies and products. Our devotion to each and every customer is evident in the level of customer service we provide – from the beginning of a project to its successful conclusion. It’s imperative that your roof receives regular maintenance. Without it, you could run into issues like storm damage and excessive debris, which can lead to leaking. If your gutters are clogged with leaves, pine needles and other debris, they too can cause interior leaks. Avoid potential problems by taking advantage of our professional maintenance and cleaning services. Cedar shake roofs. In the same way cedar fencing or decking must be protected, your cedar roof should be protected too. We offer either pressure washing or air cleaning along with a chemical preservative. Cedar roofs can last 30 to 40 years if properly maintained. Tile roofs. Although tiles will last 50 years or more, debris and moss can cause water to clog metal flashing and possibly drive water under the tiles. We offer air cleaning and pressure washing to maintain tile roofs. Composition roofs. Shingles are less likely to leak if they gather substantial debris, but moss growth will cause shingles to deteriorate. We recommend a chemical treatment if debris is not substantial; otherwise, either air or pressure washing plus chemical treatment is needed. Tony’s Roof Care has found that investing in the better chemicals almost always saves you money over the long term. TWP oil-based preservative is the best cedar shake preservative we have found, period. It lasts five to seven years. On tile and composition roofs, we only use Kleanbrite liquid-based moss cleaning chemicals. We have found that powder-based chemicals are not effective. None of the chemicals we use are harmful to water or grounds. We install based on manufacturer’s recommendations and in optimum weather conditions for chemicals to work. We also take proper care to stop overspray. Whether it’s roof cleaning or general roof maintenance, Tony’s Roof Care strives to provide the best service and materials for your roofing needs. Call (253) 841-7779 or submit our online contact request form to schedule a free estimate.